Social media is a great way to keep in touch with your friends or promote a brand or product. However, the sheer volume of social media sites out there means that keeping up a presence on several of them is very time consuming. Free social media management tools can help alleviate this problem. One such tool is called Hootsuite. 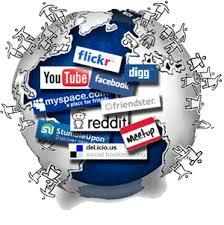 It allows you to access all of your social media accounts from a single control panel. You can create and post your own new content, or comment on and share the content from other users. Hootsuite also offers real-time data tracking of your usage. Another tool is Buffer. Buffer works like a queue that you can use to schedule the delivery of your content across multiple social media platforms. You can stagger the posting of your new content throughout the day and plan ahead for the rest of your week. This is especially useful for promoting products, brands, and celebrities, who need to maintain a constant presence online. IFTTT is another social media automation tool that links your accounts together. It can be used to let users on other sites know when you post content. For example, IFTTT can be programmed to send out a tweet and create Facebook update every time you put up a new blog post. Of course, Hootsuite, Buffer, and IFTTT aren’t the only free social media management tools out there. You’ll need to explore those tools and do your own research to figure out what works best for you. It may even be a combination of multiple free social media management tools that ends up meeting all of your needs, such as using Buffer to put new blog posts on your WordPress site and then IFTTT to tell all of your Facebook followers about it.